Bitcoin may be the most popular cryptocurrency used in gambling online, but it certainly is not the lone coin capable of providing fast transactions, player anonymity, and even provable fairness. 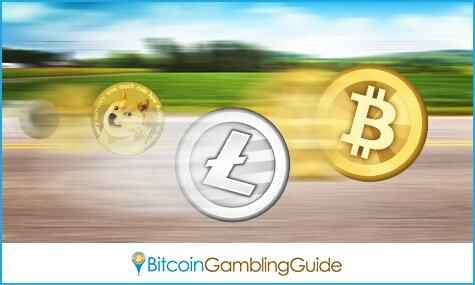 Altcoins like Litecoin and Dogecoin are two cryptocurrencies that also found success in the world of online gambling. Litecoin, which is dubbed as the original alternative cryptocurrency having been launched following the debut of Satoshi Nakamoto’s creation, continues to receive immense support from the community, convincing Bitcoin casinos and other gambling sites to support the said coin. Dogecoin, on the other hand, is a valued addition to the growing list of cryptocurrencies, and is best known for its humor and wit that best match the iGaming setting. Thus, any slight changes or improvements in these two alternative cryptocurrencies may directly and indirectly affect the current state of the Bitcoin gambling industry vis-à-vis the iGaming sector. Litecoin created a buzz during the past few days when it made a monumental run to beat Bitcoin in terms of 24h trading volume. Six days ago, this digital currency registered a 24.11 percent change and pushed Ripple down a notch to reclaim the title as the second largest coin. Many analysts even took notice of the fact that Litecoin managed to more than double its value by over 200 percent over a few days. Unfortunately, its continuous rise reached its peak and began to crash, registering almost 40 percent fall, leaving speculations that the then nearing Litecoin halving could have been responsible for the value upsurge. As of writing, Litecoin returns to the third position behind Ripple now that its price seems to have stabilized. A cryptocurrency that is free of the fluctuations commonly exhibited in Bitcoin—and in the recent Litecoin incident—is Dogecoin. 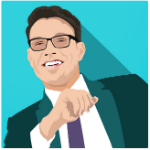 It may have started from a meme, but this digital currency has a supportive base of users, who can also be credited for the constant favorable performance of the coin. It has remained in the top 10 list of coins with the largest market cap, and is currently in fifth position following Dash and Litecoin. Litecoin gambling and Dogecoin gambling have become a staple in the world of cryptocurrency betting. Although not all Bitcoin gambling sites recognize the strength of these two coins in generating more players, there are select names on the market that do so. 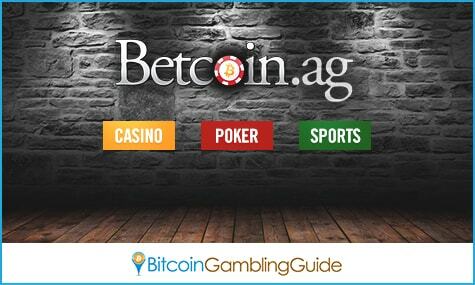 Betcoin Casino, for instance, which belongs to the Betcoin.ag family that also hosts Betcoin Poker and Betcoin Sports, accepts players who wish to wager on all Betcoin games using either Bitcoin or Litecoin. The newly launched Bitcoin casino Cryptogames.io is also designed to cater to Bitcoin, Litecoin, and Dogecoin bets for its Bitcoin minesweeper, dice, and slot games. Today’s cryptocurrency market continues to introduce more betting sites that serve as the newest venues for digital currency users to get their much needed dose of entertainment. In fact, there are casinos and poker rooms that support numerous altcoins. FortuneJack and Fun Casino are the perfect examples. On another note, those who wish to play specifically made slots and dice games for Litecoin and Dogecoin can head over to Crypto-Games.net to experience enjoying and winning coins in a few rolls and dice. Clearly, the slight improvement in Litecoin would have encouraged more players to place LTC bets, but this does not imply that the digital currency’s recent crash would translate to gamblers’ disinterest to play litecoins. In addition, Dogecoin’s stable performance makes it even more perfect for online gaming, giving it another niche and purpose other than to be used for tipping and sending gifts. Likewise, having these altcoins readily available for gambling then pairing it with fiat money will definitely improve the iGaming industry. Bets using real money and cryptocurrencies are guaranteed to revolutionize online gambling.